The Displayshade® is a light duty commercial canopy which is perfect for trade shows, reliable outdoor shade for workers, or even just fun in the sun. 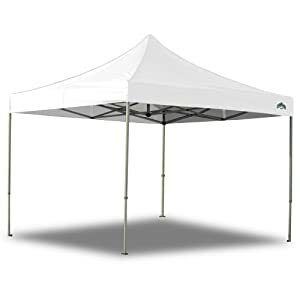 Built with a lightweight steel frame, full truss ceiling design and a durable polyester canopy top, the Displayshade® provides strength and stability not found in many other shelters. With such a simple set-up assembly, displayshade(r) will be in place in a matter of minutes and spending more time relaxing with friends and family can make every occasion an enjoyable experience.